PowerSchool - PowerSchool is the student information system used by Isle of Wight County Schools to develop class schedules, take attendance, store grades, produce transcripts, report cards, and more. Parents and guardians of students enrolled in Isle of Wight County Schools can view student progress through the PowerSchool Parent Portal. 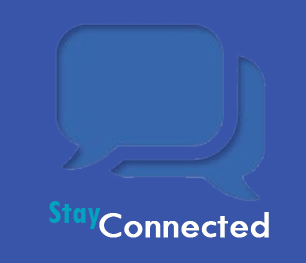 Connect 5 (formerly Alert Now) - is an instant communication system used to share important information quickly and accurately to parents, students and staff. With this system, IWCS delivers time-sensitive messages about school closings and delays, student attendance, events and activities, and schedule changes, as well as safety announcements in the event of an emergency. School Issue Tipline (S.I.T. Line) - is a way for students, parents, employees and members of the community to anonymously report situations or concerns that could potentially pose a threat to the safety or well-being of our students, staff and schools. The tip line is monitored daily by school division personnel and calls will be referred to the appropriate school administrator and/or Isle of Wight County law enforcement official, if necessary. Issues can be reported by calling 757-357-0908. School Way (formerly School Connect) - is a free mobile app available for Apple and Android mobile devices to keep the entire school community connected to both school and IWCS information, delivered directly to smartphones and mobile devices.